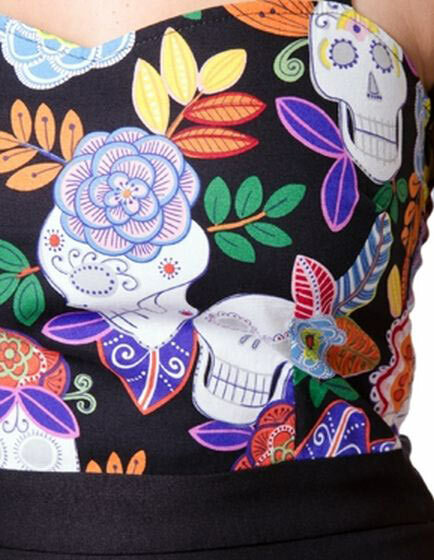 The Los Muertos Wiggle Dress wakes the dead with this curve hugging super stretch fabric! Designed to squeeze in all the right places. 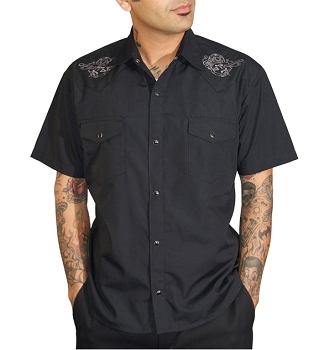 Halter style adjustable neck, with sugar skull design bodice with black elasticated back and bow. Made in the USA.